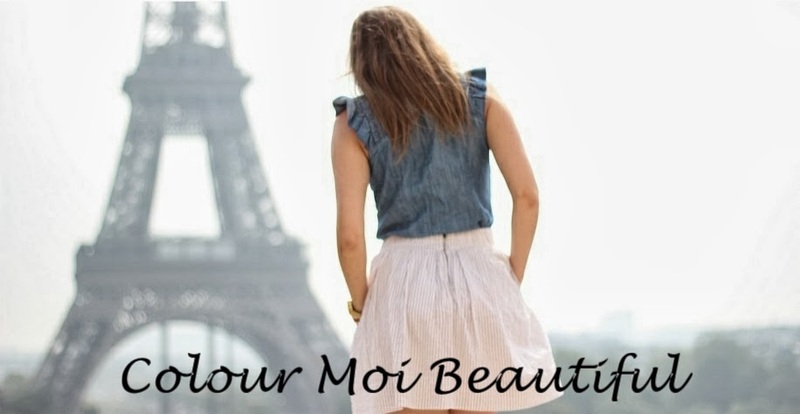 Colour Moi Beautiful : White? Why Not! I have a terrible fear of getting my clothes dirty so you can imagine how stressed out I was this day, wandering around Le Defense (the downtown core of Paris) wearing white jeans. It was a gloriously hot day, which is ideal for wearing light colours and flowy tank tops. Add a touch of turquoise jewelry and strappy sandals and you have the perfect summer outfit. I managed to keep my jeans spotless until later that evening while picnicking at the Seine, when DJB decided to pop a cap off a bottle using his belt buckle. You can imagine how that ensued. There was no getting this girl down though as I was still buzzing from receiving my first official compliment from a stylish french women earlier that day. She told me my sunglasses were gorgeous which, for a Canadian prairie blogger living in Paris, is a big deal!